Chief Minister Virbhadra Singh of the Congress will face the BJP's Prem Kumar Dhumal in the Himachal Pradesh assembly elections. Both are longtime politicians. 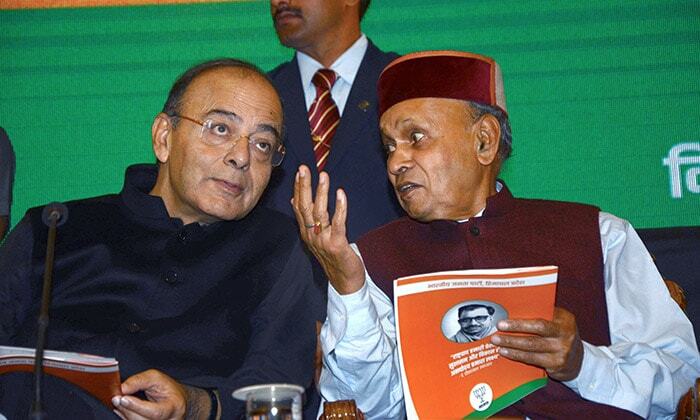 Mr Dhumal has also been chief minister of the hill state. Polling in Himachal Pradesh will take place in a single-phase on November 9. BJP chief Amit Shah has named two-time Chief Minister Prem Kumar Dhumal as the party's candidate for the top post in Himachal Pradesh. Prem Kumar Dhumal had on several occasions publicly urged the BJP to announce that he would lead the party's campaign. 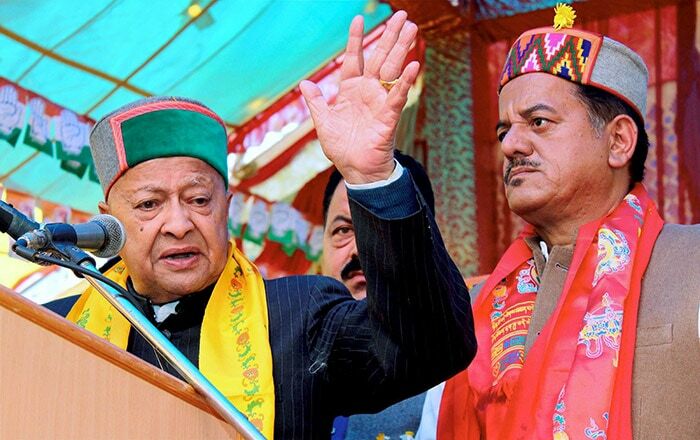 Virbhadra Singh has chosen to contest from Arki after declaring that he would fight on a seat that is held by the BJP as he attempts to prove that he is still wields the most influence in the state. 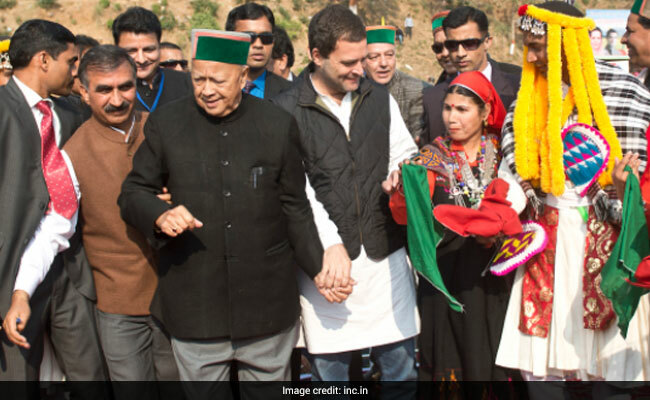 In the manifesto released by Virbhadra Singh and other Congress leaders, the party claimed that Congress had fulfilled 95 per cent of poll promises and would implement the rest in the next term, if voted to power. Virbhadra Singh has said the BJP's decision to field Prem Kumar Dhumal would have no impact on prospects of the Congress.